I'm not really sure where Sasha's love for everything to do with Halloween came from. Although thinking about it, I can probably blame YouTube for most things. 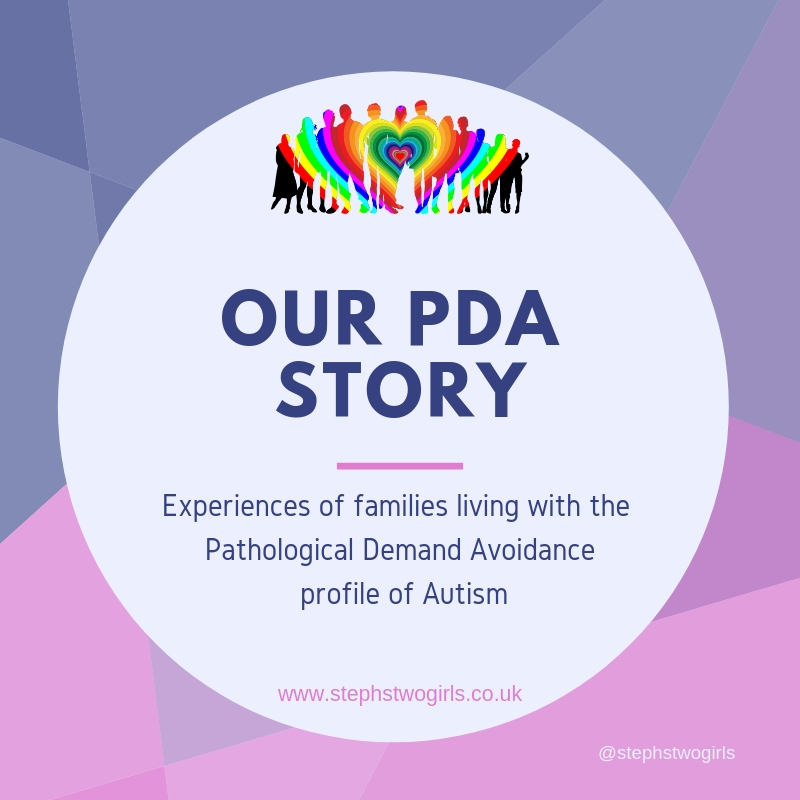 Having obsessions about things or people is a common trait of PDA (Pathological Demand Avoidance), and Halloween is one of Sasha's obsessions (Pokemon, Skylanders, Nintendo and My Little Pony are the others currently). 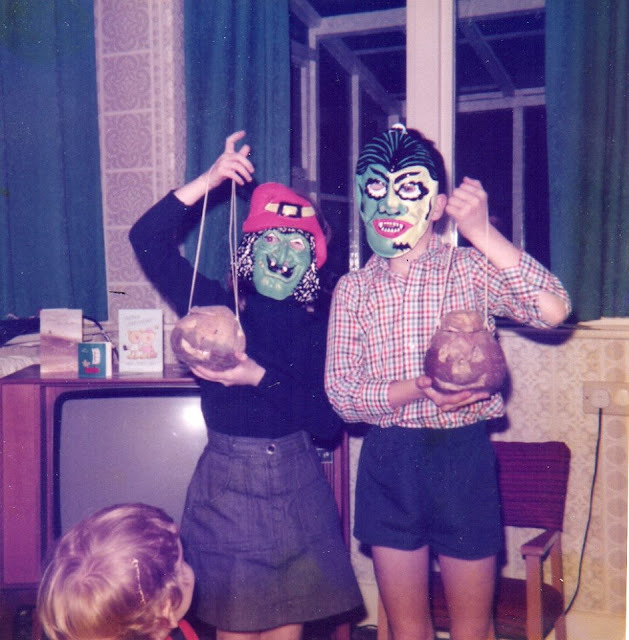 I can't say I'm a huge fan of it myself and I haven't encouraged it; the whole going out at dark knocking on stranger's doors asking for sweets does seem a little odd and is not something I remember doing as a child. It does seem to be a craze which is growing bigger and bigger in the UK every year now (although I think it'll take a while yet to get to the giddy heights of the antics which go on in America!). This was Sasha last year, dressed up as a spider. She specifically requested a spider outfit and as I am not an 'Insta-craft-mom' I delegated the job of creating her costume to her Dad. He did a pretty good job, wouldn't you agree?! Eldest daughter designed and created her costume all by herself - in half the time. She's not so fussed about it, probably won't even bother dressing up this year (although there has been a large amount of practicing scary make-up happening over the past few days...). This year, Sasha had already decided back at the start of August what she wanted to dress up as. On the one hand that was good news, as that gave me time to buy a couple of bits and pieces to keep her happy. On the other, 3 months is a long period of time over which to hear ideas about Halloween talked about to the nth degree. Some may be surprised that this girl, who rarely participated in dress-up days at school because she found the other children and teachers too scary in costumes, can throw herself full on into the scariest dressing up event of the year. It's different though; at school dressing up was an unusual experience, seeing children who would otherwise always be in school uniform and look the same, transformed into strangers to her. Especially difficult if it involved any head gear or face painting. There was also the pressure and sensory difficulties of the extra excitement and buzz from all the other children, many of whom thoroughly enjoyed the thrill of a non-standard school day. I'm carrying a lot of that extra mum guilt right about now, as what Sasha would have really, really, liked, was a Halloween party. I asked a few people in general terms what they might be doing for Halloween back at the start of September... and no-one replied. I like to think that was down to the fact that no-one else was having to think about Halloween quite so early, and that most people tend to only make plans the week before not two months in advance. I wasn't just being a lazy mum, not inviting people round to ours because it would be hard work. There is nothing more I would love than to hold a themed party... but there were a few reasons for holding back. I know that families often tend to stick in groups and repeat activities such as parties or trick or treating with others they've done it with since young, and if I'm honest I was scared of asking and getting no replies (you know, like one of those tumbleweed moments). Another challenge is that Sasha's autistic and specifically PDA traits mean that her anxiety creates a need for her to be in control. If the party didn't match up to her own expectations, which can often be very detailed and vivid, then it could all get too much for her and end up in a meltdown. As a parent leading a party in your own house, it can be very difficult to ignore your own child and make it fun for all the others when you know your own child is extremely upset about something. I think there's probably a tendency for other parents to assume that a child is being a spoilt brat if they don't get things their own way, but in Sasha's case it's her inflexible thinking and inability to 'go with the flow' or adapt to what happens next if it's unexpected which can cause issues - for her and everyone else. Then there's the other issue of being 'in limbo' at the moment. The gap between Sasha and her peers was very clear when we held a party here for her birthday this summer. Sasha was unable to join in their general conversations outside about fashion and boys, and she ended up on her own inside, feeling like an outsider at her own party. This was in no way the fault of the other children, it's just fact that they are able to converse with each other easily in a way which Sasha cannot. Sasha can be sociable and funny, but for them, I imagine that the lack of give and take in both conversation and general playing is not so much fun after a while. There's no right or wrong answer. We moved house earlier this year and have ended up on a road where we are unlikely to get many, if any, trick or treaters. For several years Sasha was too scared at Halloween to entertain the idea of trick or treaters, and then one year she built up enough courage to answer the door only to have some rude children make a rough grab for the sweets she was holding in a bowl. It took her a while to recover from that, but then the next year answering the door at Halloween became almost as much fun as going out. Sadly that option is now pretty much closed off to us (shame, as personally I'd rather stay indoors and warm rather than roam the streets looking like Rudolph). So I have ended up feeling like I picked on a friend to visit for Halloween (apologies to her!) and I will venture out nervously hoping that whatever Sasha is expecting to happen does - I think that involves collecting lots of 'candies' which she won't actually want to eat anyway. When it comes to knocking on doors, most children of this age would just naturally sense whose turn it was, or at least be aware of sharing out the duty without actually talking about it, but for Sasha this is just one more challenge. When the rules are 'unspoken', she can't necessarily guess them. She understands enough to know that turn-taking is fair, but doesn't know how to work out turns if no-one is specifically organising it. She's super hyped up about the whole event so I'm guessing she won't be happy to wait at the back of a group to approach doors and I'm not sure how long the other girls will be happy to follow her lead for. So there's no standing back letting them sort it out for me; I become a 'helicopter mum' because that's the only way that I might avoid the upset and make our trip out last longer. 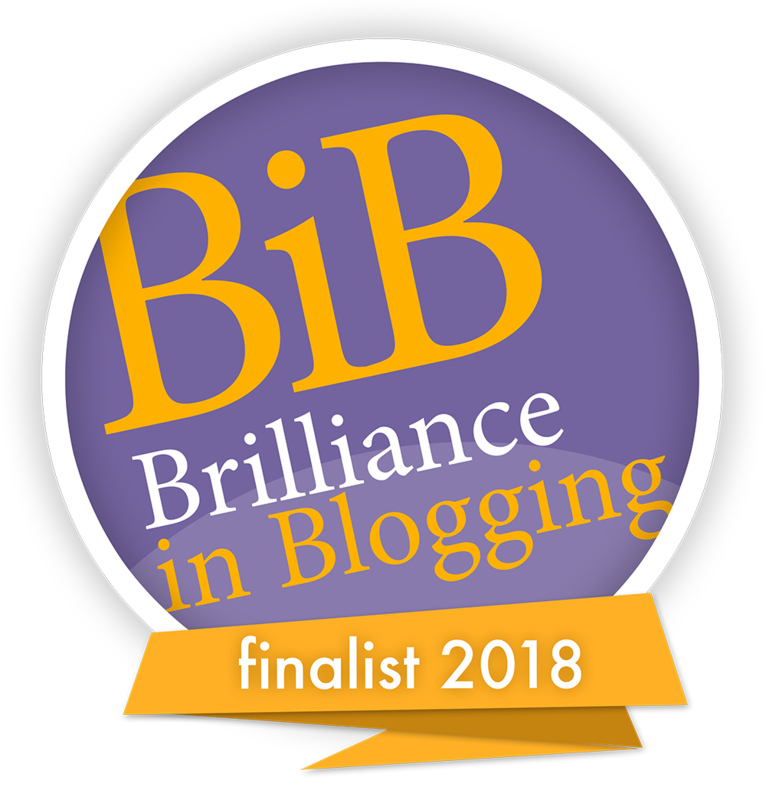 I would be so happy if you enjoy reading my blog and would consider nominating me in the BAPS blogging awards - nominations for me or any other amazing SEND blogger can be made on this page: www.myfamilyourneeds.co.uk. Full details on what BAPS are in my recent post 'What on earth are the BAPS? 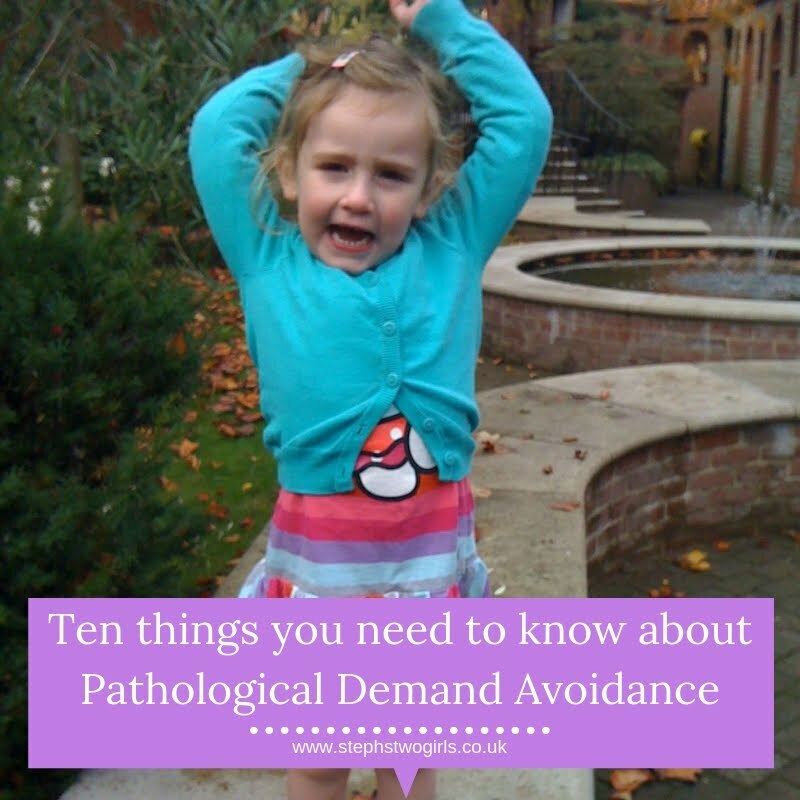 Does my child have Pathological Demand Avoidance? How to make your own huge, GIANT Bubbles! 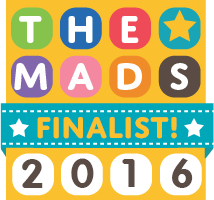 Autism with demand avoidance or Pathological Demand Avoidance? 'Autism is a lifelong developmental disability that affects the way a person communicates and relates to people around them. People with autism have difficulties with everyday social interaction'. 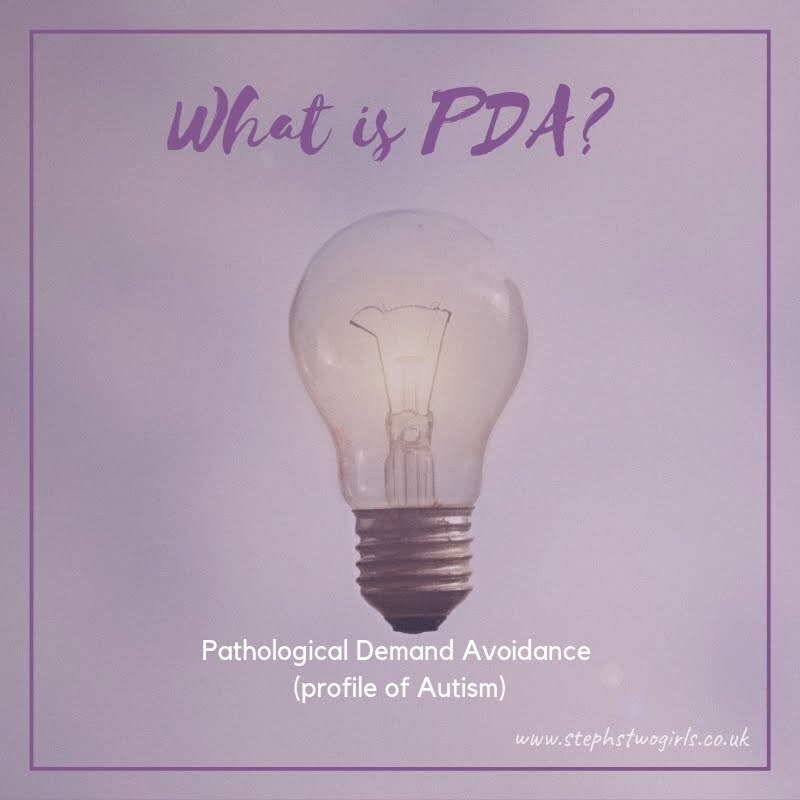 What is PDA (Pathological Demand Avoidance)? Pathological Demand Avoidance (PDA) is one of several Autistic Spectrum Conditions (also known as ASD, Autistic Spectrum Disorder). 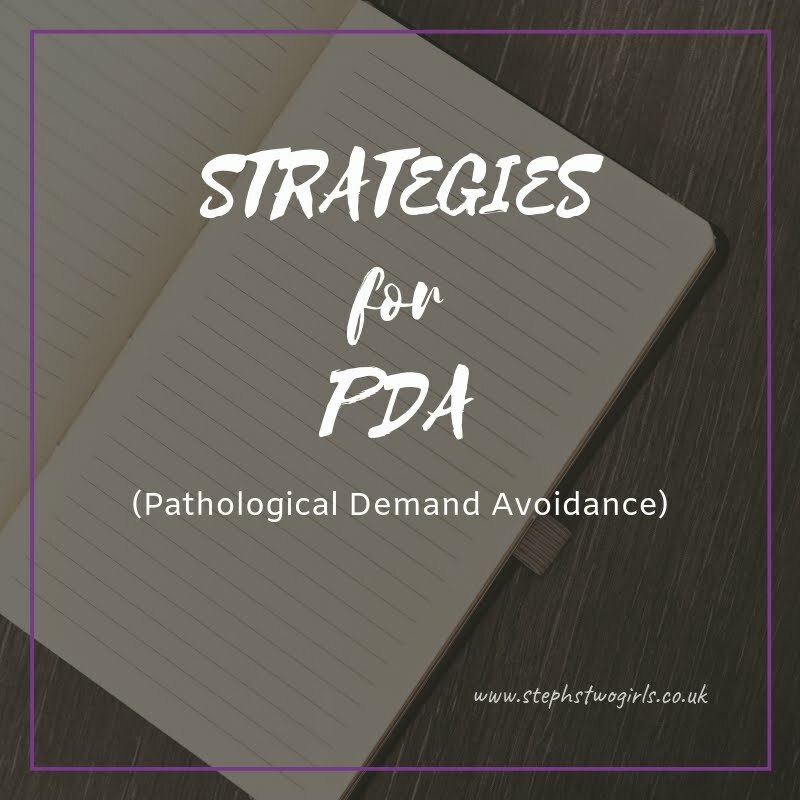 The central difficulty for people with PDA is their avoidance of the everyday demands made by other people, due to their high anxiety levels when they feel that they are not in control. Children may sometimes be described as having 'challenging' or 'oppositional' behaviour. Parents describe life as 'walking on eggshells' and their child as 'Jekyll and Hyde'. 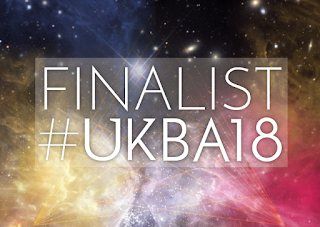 BAPS Awards 2018... what on earth are they? !